These days, it seems that all we hear about are problems. The crisis of the day may vary a bit depending on the network you happen to be watching or newspaper you’re reading, but the theme is basically the same: sustained unemployment, distressed homeowners, dire economy…and not necessarily in that order. Experts say that the only way to turn the tide is to attack the root of the problem—consumer confidence. But how does one improve consumer confidence in such murky times? Simple, says EquityLock—protect the value of their homes. While it’s impossible to create that proverbial silver bullet, Denver, Colorado-based EquityLock feels they’ve come pretty darn close. With the introduction of its Home Price Protection™ product this past May, EquityLock believes it has developed a solution that will start rebuilding consumer confidence, one homeowner at a time. According to EquityLock President Ted Rusinoff, the goal was to bring an affordably priced product to market that would cover the risks of homeownership. “We want homeowners to be able to undergo the volatility of the housing market and still be able to continue the same quality of life they had historically enjoyed,” says Rusinoff. According to Rusinoff, Home Price Protection is much like a home warranty, but one that preserves the equity or value of one’s home. Based on the local market index at the time of sale, Home Price Protection pays the homeowner if the value of the index related to his or her home has decreased since it was purchased (see sidebar for details). The intended ripple effect would be a renewed faith in real estate investment followed by an overall increase in consumer confidence. The reason why the time may be ripe for a concept like Home Price Protection is because we, as consumers, have been burned…badly. We’re wary, fearful and not willing to take risks, no matter how good the deal may seem. And “the average guy” is exactly what most American homeowners look like. “Unfortunately, the overwhelming majority of Americans had their retirement plans wrapped up in the equity of their homes,” says Blum. “Their equity is now gone and they are left feeling abused and taken advantage of. 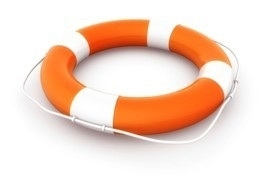 Equity Protection: A Consumer Lifeline? Many feel that “something” is equity protection. Rodkin has been researching the housing market and equity assurance plans since 2002 and is co-author of “Home Equity Insurance: A Pilot Project.” He looks back to a 1970s case study in Oak Park, Illinois, a community area inflicted with a downward fear cycle based on racial tensions and the phenomenon of “white flight,” which induced decreasing home values. In the mid-’90s, Robert Schiller of Case-Schiller fame, authored a report on the idea of home equity protection and, since then, other economists have chimed in with support of the concept. According to Rodkin, however, bringing the concept to actuality was very difficult. Home Price Protection, on the other hand, is a contract designed to guard homeowners against the risk of a continued or ensuing market decline. “If you’re looking to break the cycle of fear, then you want to get a contract into the hands of people so they know they now have a firm floor that’s going to be there no matter what,” says Rodkin. “If this is created as an insurance product, there’s worry that if they can’t make the payments, then the coverage is gone. If you have a tough financial year and can’t meet your premium, you could end up losing the equity insurance in the year you need it most. The value of equity protection came to the attention of EquityLock co-founder Mike Bishop when he was working on a number of big-ticket real estate transactions back in 2004, including commercial and vacation-type developments. A contract to prevent a property’s resale value from changing should there be an adjustment in the market was just what he needed to get his projects off the ground. Bishop soon realized an equity protection product could be of value to individual home buyers as well. But this was in 2005, when the home buyer had a different mindset—real estate was a sure thing and equity protection was deemed unnecessary. Unfortunately, that attitude was to soon change. In 2009, Bishop reconnected with T.J. Agresti, a colleague from a previous career, and the two soon assembled a team of financial, insurance and risk management professionals, and developed the Home Price Protection product. Rusinoff, a veteran of the insurance and financial services industries, came into the picture in 2010 to vet the project before the team officially rolled it out to market. For Rusinoff, Home Price Protection is a critical component to a person’s overall investment strategy. While Home Price Protection brings immediate relief to individual homeowners, it also holds promise for improving neighborhood home values and the foreclosure crisis at large. Perhaps no one has been affected by the housing downturn more than hardworking real estate professionals. A Quick Fix or the New Normal? But is Home Price Protection an answer to a short-term problem or is there life for the concept beyond the real estate downturn? Protection from economic downturns – A home represents the largest asset for many people and a market drop can have devastating consequences. • EquityLock Solutions protects the asset, the individual and the community regardless of market conditions. • The Home Price Protection contract is a financial agreement between a homeowner and EquityLock Solutions that protects a home’s value from market downturns. Preserving your home’s value – EquityLock Solutions helps homeowners to invest and improve their properties with confidence. • Improvements to the house also affect the overall value of the community. • When the value of one home increases, the value of the surrounding homes increases as well. • Home Price Protection pays homeowners if the local market index declines—even if the home sells for a profit. Not an insurance policy – Home Price Protection preserves the equity or value of one’s home as a contract to manage against market risk. • Contracts are underwritten individually and the average contract price is 1.9%, but determined individually and by market. • The buyer can file a claim 24 months after the contract has been signed and coverage continues for 15 years. • The contract preserves home value up to a 20% maximum decline in the index.